Those who practice martial arts will always tell others about how it has completely changed their lives. Everyday people turn into full-fledged warriors, in and out of their training grounds. Martial arts can equip you with all the necessary tools to achieve the life of your dreams. Yes, it is true. Martial arts can unleash your true greatness in life by giving you a warrior spirit to chase your dreams. Martial arts can unlock your potential by endowing you with courage, humility, focus, work ethic, discipline, mental strength, a desire for continuous self-improvement, and so much more. If you want to get promoted quickly at work or if you dream of financial success, martial arts can help you to accelerate the achievement of those dreams. Muay Thai classes at Evolve MMA are authentic and taught by our World Champions. In martial arts, we learn that distractions are part of training and could be a hindrance from performing better. When our instructor explains techniques, our minds have a tendency to wander off if we don’t focus – resulting in poor execution of the technique. At work, procrastinating and not concentrating on our tasks won’t help us hit our deadlines any faster. But by having focus and determination to get through the nitty-gritty, you’ll get the job done before you know it. Maintaining good communication with your BJJ partner is key. Most employers don’t want cookie-cutter employees who just go through their days, barely making an impact on their organization. They want to see tenacity and willingness to take risks despite the consequences. In martial arts, we learn to take chances all the time. There’s always that possibility that we may win or lose, but what matters is that we took the opportunity to give our best shot. The Evolve Boxing Program is headed by WBA Boxing World Champion, Yodsanan 3K Battery Sor Nanthachai Sityodtong. When we train martial arts, we see the fruits of all the hard work we’ve put into it through our progression in class, especially during sparring. Suddenly, we find that we can last just a little bit longer after a few rounds, or we are finally able to pull off that submission we’ve been drilling for the past few weeks. There’s no doubt that your employer appreciates hard work. Nothing gives them more satisfaction than seeing their employees achieve their full potential. The more hard working you are, the better your results will be whether in the office or at the gym. 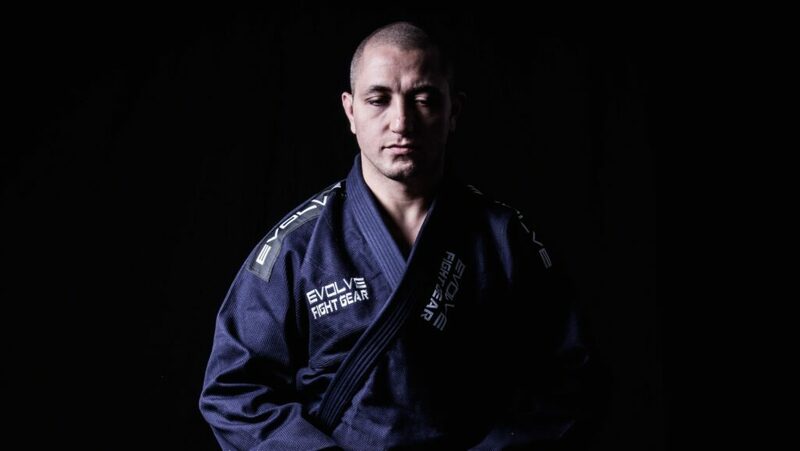 Classes at Evolve MMA are designed to maximize your learning, fun, and fitness. All the best managers, vice presidents, CEOs have one thing in common: They ooze self-confidence, an important trait to have if you want to be successful. Knowing that you have the ability to do anything you want because you can gives you confidence like no other. When you are able to execute a technique that you never thought you were capable of, or simply losing a few pounds—you’ll feel like you are capable of just about anything. There’s something about martial arts that makes you feel like you can conquer anything – that’s self-confidence! Whether it is to learn the art of self-defense, to lose 10 kilos, or to get into the best shape of your life, your goals are more than achievable through the programs at Evolve MMA. There’s nothing more difficult than persevering through the harshest circumstances life throws at you. Whether it’s in training or in the workplace, it’s always a challenge to rise up from a trying situation and give it another shot. In training martial arts, we learn how to forge a warrior spirit each time we are knocked down, out, or submitted. It’s because we want to keep going, despite our failures or mistakes that make martial artists and the most resilient employees so admirable. Evolve caters to people of all fitness levels (even to those who have never done any type of athletic activity). Whether it’s on the mats or inside the cage, the lesson of improving yourself just a little bit every day is a valuable one. The more we are willing to work on our skills as a martial artist, the better chances we have of getting our hands raised in victory. Every day is truly a chance to make ourselves better than we were yesterday, even as employees. There’s no doubt that our employers will appreciate the effort we put into becoming the best versions of ourselves possible. There’s simply no doubt that this willingness to succeed will pay off. There’s no doubt that martial arts changes lives for the better, even to the point that it brings you success in the workplace too! You become a warrior in all facets of life, improving yourself every day. So tell us, what’s your excuse for not training?